Driving with a suspended license in Ontario is known in the court system as Driving While Disqualified and is identified in the Criminal Code of Canada as a federal crime. While under suspension, an individual is prohibited from operating any motorized vehicle anywhere in Canada. This includes any vehicle that has a gas or electrically powered engine, such as a car, truck, bus, motorcycle, tractor, taxi, trailer, motorcycle, snowmobile, aircraft, vessel, railway, or even heavy equipment or machinery, whether in public or on private property. If someone is caught driving with a suspended license, they can be arrested, charged, and held in custody, with the operated vehicle being impounded. The individual may be required to appear in a Provincial Court before a judge, to have what is called a “show cause hearing” before they can be released from custody. As the accused disobeyed a judges order, which is considered a serious offence, the penalty may result in a period of time incarcerated in prison for up to two (2) years, and a criminal record. Other penalties could involve another year suspension and fines up to $2000. (ii) in the case of a vessel or an aircraft, under an Act of Parliament, in respect of a conviction or discharge under section 736 of any offence referred to in subsection (1) or (2). 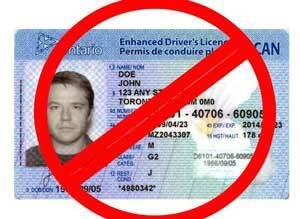 Driving with a suspended license in Ontario is A Crime. As a Suspended Driving charge is not just considered a motor vehicle infraction, but a crime, this will gain you a criminal record, also causing your insurance rates to skyrocket if not your policy revoked altogether. This being the case, you have a lot more riding on the outcome of a trial. Attempting to defend yourself without the experience and solid knowledge of the laws regarding could leave you in a precarious and restrictive situation. Our law team of Bruce Karten & Stephen Hebscher have over 60+ years of experience in acquiring reduced charges, acquittals & settlements that can work to achieve a favourable outcome. Speak to one of our lawyers to set up a free consultation. We have been able to assist countless individuals with overcoming a suspended driving conviction and acquiring licence reinstatements quicker in Toronto, and are available to assist you 24/7. See what our other clients are saying about us. We can help you too!